For four days every spring, Mobile World Congress is the center of the mobile industry universe. Under the guidance of the GSMA, the event is a chance for the industry to show off their new mobile and wireless consumer products, underlying technologies and most importantly, a vision of the future. Based on these goals, the 2018 event did not disappoint. 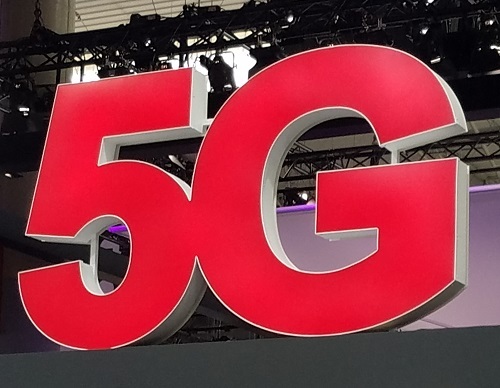 Much like last year, 5G wireless was a central theme for much of the messaging and presentations delivered by service and technology providers. The promise of the fifth-generation wireless is to improve throughput, reduce latency and enable a greater number of internet-connected devices. This is warranted by the ever-increasing wireless needs of Internet-of-Things (IoT) devices, autonomous vehicles, drones and consumer products. 5G will enable smaller, more dense cells that can handle greater device density, but will also require considerable investment in new equipment and siting agreements and labor. Despite the challenges, it does seem that the industry is committed to the technology and 5G will soon be deployed in select high-value locations and for applications that can benefit from better performance. As my industry friend and pundit Dean Bubley regularly reminds me, there is a very narrow intersection of locations and applications that need this technology – plus a well-engineered WiFi network can often solve the same problem for a fraction of the cost. So what does this mean for TelcoBridges? One goal of 5G is enabling smaller and more affordable consumer products that can support high band-width applications. Video, Virtual Reality, 3D holograms and other media types will be possible in consumer products, automotive and industrial applications. You think we have a lot of cameras and screens now? Just wait. All these applications will need infrastructure to provide network connectivity and security, giving access to the existing voice and video applications – the ideal application for Session Border Controllers. Sometimes the vision doesn’t match the reality and MWC showed us first-hand the issues with large-venue environments where 100,000+ people and their mobile devices congregate. The Fira Barcelona was a communications black hole. Despite the best efforts of the local mobile operators, 4G/LTE connectivity was almost impossible for anything more than SMS communications. WiFi was a mess too, with hundreds of access points all overlapping each other while vying for the same shared spectrum. Even if the carriers could have deployed 5G in the nine massive exhibition halls (like they did for the Winter Olympics), very few attendees would have devices capable of using 5G. Hopefully the 5G network of the future will arrive soon and shed light on the communications black hole. More good reading: 5G Promises Breakneck Internet Speeds. Next Next post: Notes from EC18: Why is Everybody Talking About Teams?